Right from the start, ConocoPhillips has collaborated with research institutions and universities, which has led to innovative solutions that have had a major impact on the development of the fields in the Greater Ekofisk Area. After having produced oil and gas since 1971, we are now looking ahead to 2050. This would not have been possible without innovative ideas and solutions that have been of great significance for the company’s business in Norway. While consolidating our position in the North Sea, our ambition is clear: We want to expand our portfolio on the Norwegian shelf and have more legs to stand on. Among other things, we received operatorships and stakes in licenses in the Barents Sea through the licensing rounds. This interest in the northern regions is part of the background for our extensive Arctic research program. Our total research contribution to universities and research institutions since the dawn of Norway’s offshore age in the early 1970s amounts to nearly five billion kroner. Some of the most important areas of research today are production increase from existing fields, integrated operations, more cost-effective drilling, multi-phase technology and Arctic engagement. In 2013, we have approximately 80 research projects, most of which are carried out by Norwegian universities and research institutions. When the Ekofisk field came on stream in 1971, calculations showed that it was possible to extract 17-18 percent of the hydrocarbons in the field with the aid of natural pressure. This figure has increased considerably since then, mainly thanks to water injection. Factors that improve the utilization of reservoir and geology-related technologies - and development of new technology within completion, process control and drilling, e.g. the horizontal wells of today, also play a major role. The Ekofisk South project will increase the oil recovery rate by around 2 percent, raising the recovery to 52 percent by the end of 2028, the current licensing period. In 2002, the research center Corec (Center for Oil Recovery) was established as a collaboration between ConocoPhillips, the University of Stavanger (UiS) and the research foundation IRIS. The establishment of the center was funded by ConocoPhillips as operator of the Ekofisk, Eldfisk, Embla and Tor fields (production license 018). The research projects at Corec have been a key factor in enhanced recovery on the fields in the Greater Ekofisk Area. The center has also helped bolster petroleum research at UiS. One major future-oriented project is 4D seismic (LOFS - Life of Field Seismic), launched in 2009. By utilising technology from the telecommunications and defence industry in a new and innovative manner, the integrated geological and engineering community in Tananger developed a system for permanent monitoring of oil and water movements in the Ekofisk reservoir using fiber optics. This is the world's first system of its type. 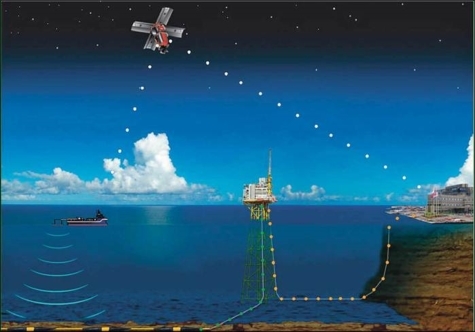 20,000 sensors, 4,000 listening buoys and 240 kilometers of fiber optic cables have been installed on the ocean floor, and seismic data is obtained twice a year or as needed. This acquisition of seismic data will gradually give a 4D picture, where time is the fourth dimension. This makes it easier to estimate how water and oil ‘flow’ in the reservoir – and this improves the well planning work. Integrated Operations (IO) is the term used to describe ConocoPhillips' operating model in Norway. Through several years we have focused on integrated operations as a tool for eliminating the distance between onshore and offshore. Its purpose is to optimize collaboration between co-workers - despite physical distance, different companies and different professions - to reach common goals. ConocoPhillips has worked continuously since 2002 to develop new ways of interacting. Research in this area is primarily focused on better utilization of the centers, greater automation and how to develop better decision-making processes. One of the projects regarding drilling efficiency is the Continuous Motion Rig. The goal is to develop a fully automated drilling rig that can operate in a continuous movement, eliminating the variations in well pressure when entering and exiting the hole with the drill string. The new rig is expected to perform drilling operations faster as well as safer that existing manual or semi automated rigs. 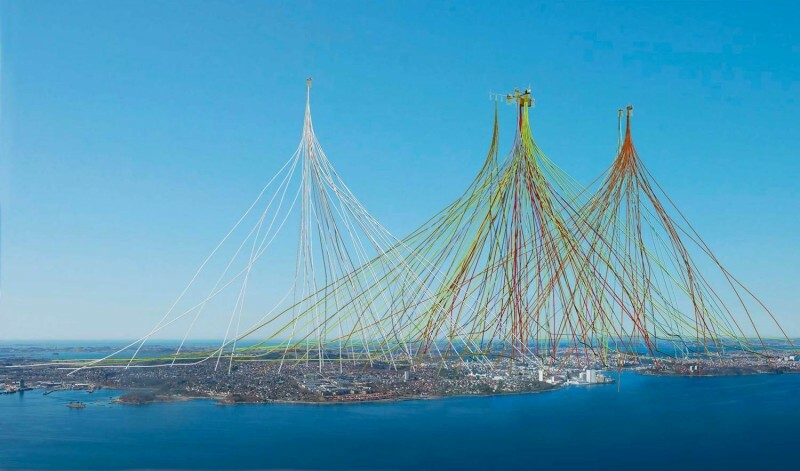 The prototype will be built and tested in Stavanger. ConocoPhillips are participating in the project together with other operators and West Drilling Group. The Research Council of Norway has also supported the project.​ Towards the summer of 2017 the plan is to drill a 1,000 meters long well to verify the technology. 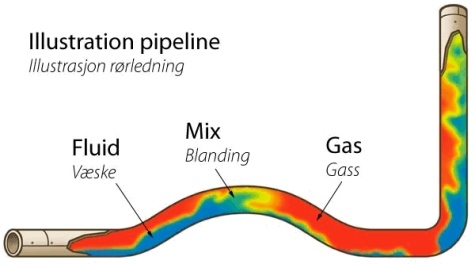 ConocoPhillips has been an active participant in the development of OLGA, which since the early 1980s has been the dominating global multi-phase tool for understanding the flow of fluids and gas in long pipelines. Together with Total and Sintef, we have now developed a new tool, LEDA, which is based on current technology. Leda will ensure completion so that both products are further developed in order to meet increasingly challenging tasks. This includes subsea installations with long distances to processing, developments in deep water and Arctic developments. A significant share of ConocoPhillips' world production takes place in areas north of the Arctic Circle, and the company has been involved in Arctic operations since 1965. This means that we have considerable experience that can be incorporated into our research and development portfolio in Norway. Our Arctic research program look for answers to operating problems and environmental challenges and seek knowledge about everything from Arctic geology to marine ecosystems and glaciers. The purpose is to incorporate facts into the discussion about energy resources in vulnerable areas north of the Arctic Circle. The potential for hydrocarbons in the Barents Sea. Operative aspects in northern areas. The effect of climate change on biology and glaciers. Transporting energy from the sun in the outermost part of the atmosphere. The Arctic approach is a program with focus on geological, operational and environmental challenges in the Northern areas. The program consists of 12 projects with a total cost of 130 million kroner and is executed togehter with external partners. The program is a cooperation with the oil company Lundin and the Norwegian Research Counsil as an important financial contributor. This research will add increased understanding of marine life, climatic conditions and a better understanding of the geological structures in the Barents Sea. It is also important to develop new knowledge among the scientific institutions. The external partners carrying out the research projects are the University Center in Svalbard (UNIS), IRIS (International Research Institute in Stavanger), SINTEF, Marintek, Akvaplan-niva and Teknova. The projects were completed in 2016, and the scientists publishes their results in scientific publications. The conclusions are also presented in a popular science book named Arctic Approach - The Northern Area Program. 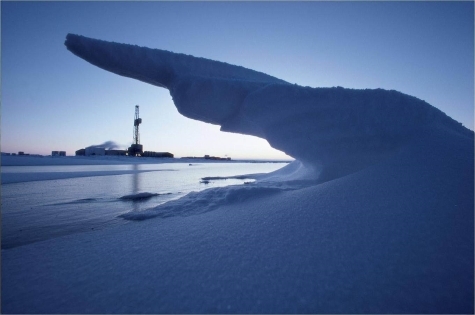 ConocoPhillips has been a contributor to the Artic Frontiers conference. Read more. ConocoPhillips has been a pioneer on the Norwegian shelf since the dawn of Norway's offshore age. It started with the discovery of Ekofisk in 1969 - with the start-up of production in 1971 marking Norway's emergence as an oil nation. Since then, the company has backed a long list of pioneering projects - not least on the Ekofisk field, but also on the other fields in the Greater Ekofisk Area. From its inception, Ekofisk has been a driving force in the promotion of new technology. Construction of the Ekofisk Tank, the world's first offshore concrete installation, installed in 1973. Jack-up of six steel platforms on the Ekofisk Complex in 1987. Start-up of water injection into chalk formations from Ekofisk 2/4 K in 1987. Has had great significance for the development of production and also contributed to reduced subsidence of the seabed. Construction of the world’s first concrete tension leg platform on the Heidrun field. Put into operation in 1995. Acquisition for 4D seismic via permanently installed fiber optic cables (LOFS - Life of Fields Seismic), put into operation in 2011.